Safe and cool to the touch. Install in just a few minutes. Does not contain toxic mercury like neon. Unmatched brightness,even if the sun is directly on it! Black ABS enclosure is just 1" thick. It won't get in the way of window shades. Drop your electric bills. LED signs use from 60 to 80 percent less electricity as compared to a neon sign. Our special packaging techniques using a time-tested inner packhelps ensure that the LED OPEN SIGNS arrives in perfect condition. 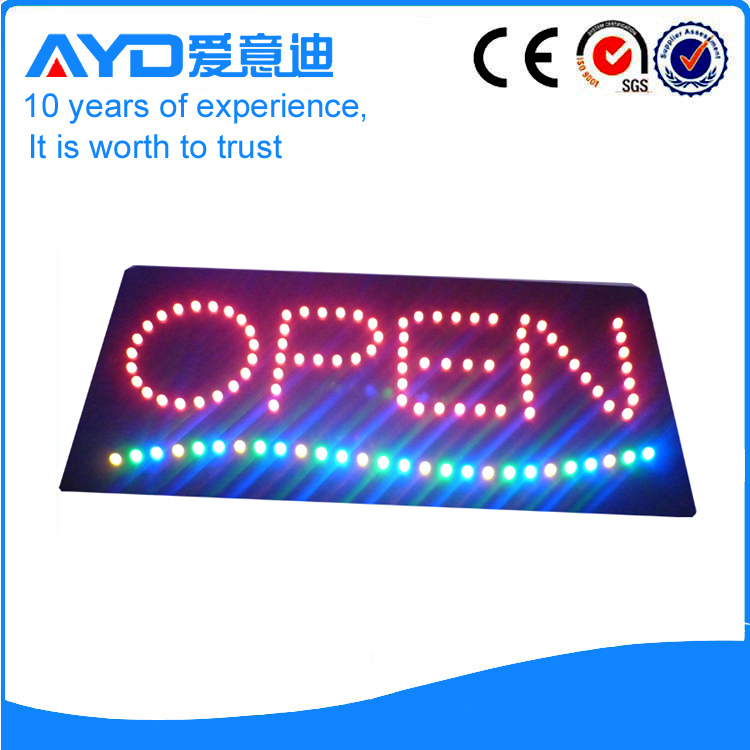 Learning more about LED open signs,please click here. A 20'container can hold 1770 pcs. A 20 'container can hold 3200pcs. A 20'container can hold 1200 pcs. A 20'container can hold 950pcs. A 20' container can hold about 1100pcs. A 20'container can hold about 900pcs. A 20'container can hold about 600pcs. 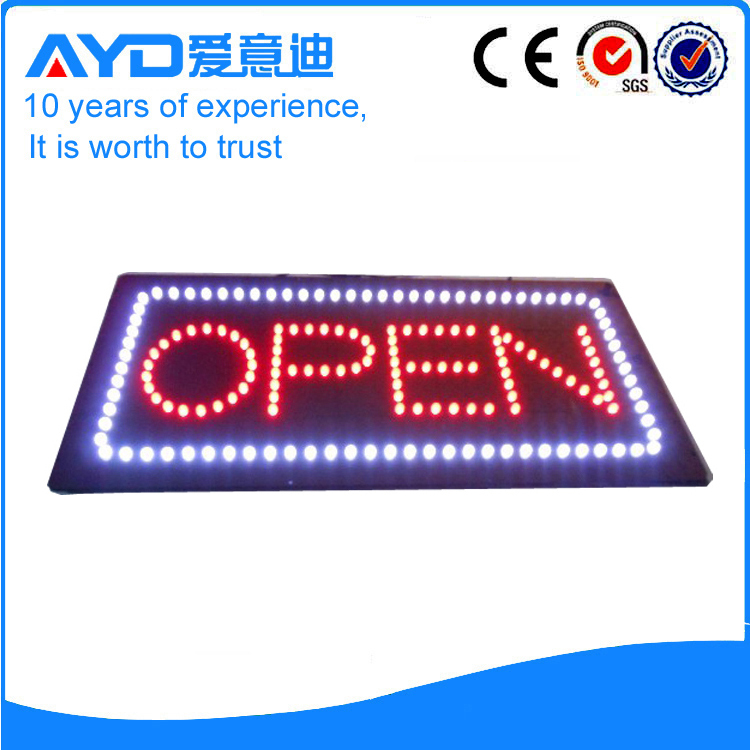 AYD LED OPEN SIGNS,is a pioneer in LED OPEN SIGNS field and LED OPEN SIGNS field. 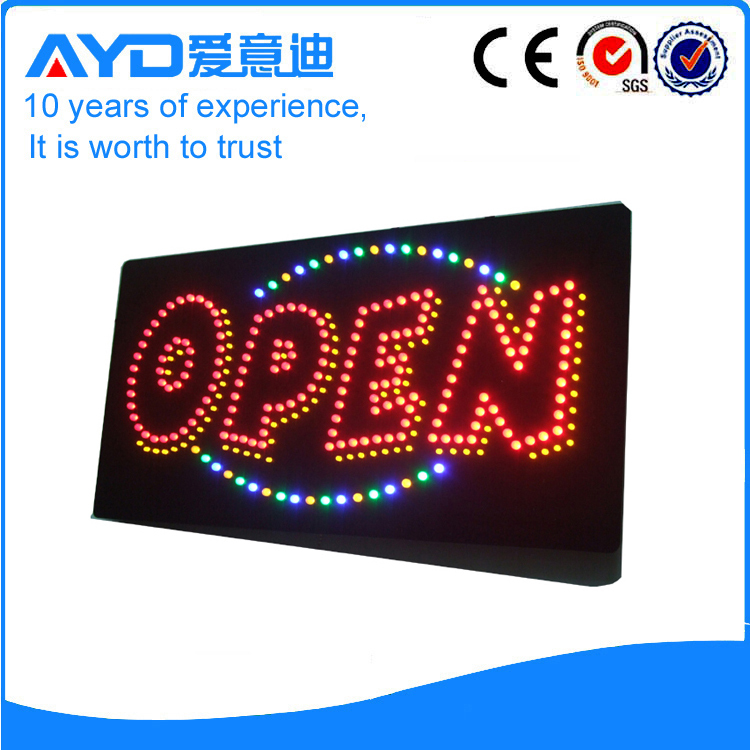 We are specialized in designing, researching, manufacturing and selling all kinds of LED OPEN SIGNS and LED OPEN SIGNS. We are an LED company you can count on because of good quality and competitive pricing, OEM & ODM orders are welcome. Q1. Are you a manufacturer or a trading company? We are a manufacturer, providing OEM & ODM service of HOT SALE LED OPEN SIGNS. Q2. What's your main markets? USA, Canada, France,England and Italy,etc. Q3. 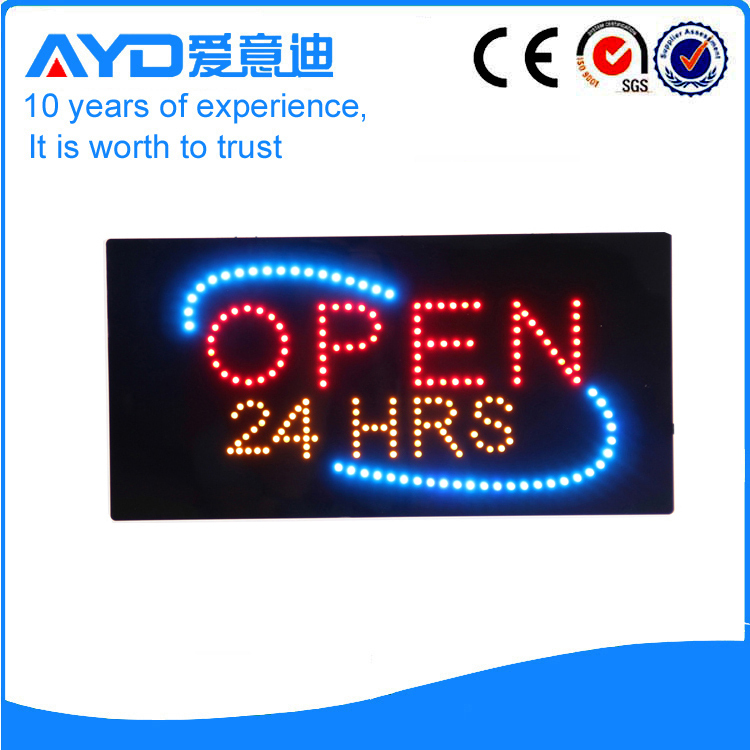 What is the delivery date for a HOT SALE LED OPEN SIGNS? Usually about 3-5 days for items with general requirements. Q4. Are your LED OPEN SIGNS conforming to our standards? Yes, our products can pass the testings as you require, e.g. : CE, RoHS, PSE, ETL,FCC, etc. Q5. How do you control the quality of aroma diffusers? We control the product quality by IQC, three tests on production lines, and 100% aging testing before packaging. We had awarded ISO 9001:2008 certificate and BSCI reprt. Q6. 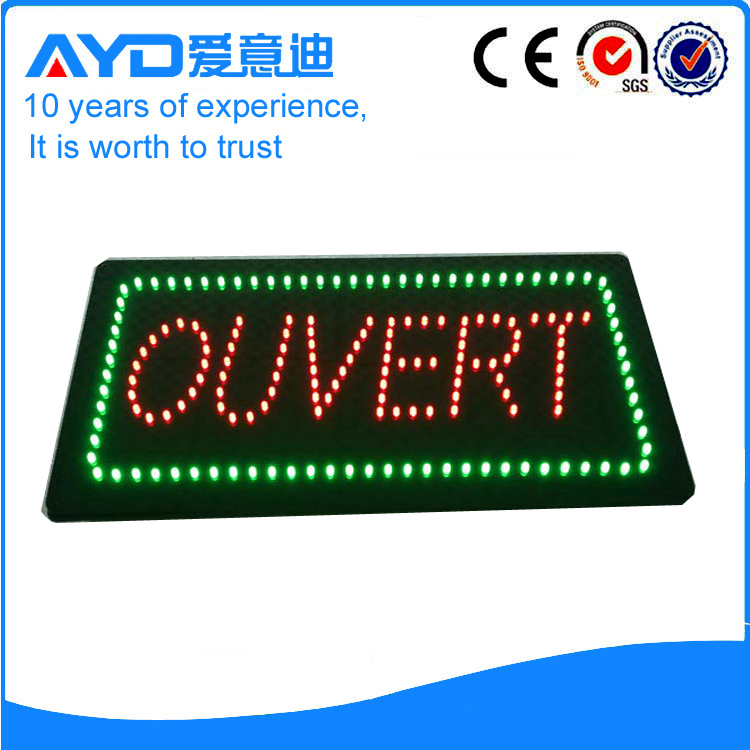 What's MOQ for HOT SALE LED OPEN SIGNS? MOQ is 100PCS.Of course, we could accept small trial orders for certain items. Q7. Can you give us a favorable discount ? Of course, a favorable discount will be offered if the quantity is sizable. Q8. 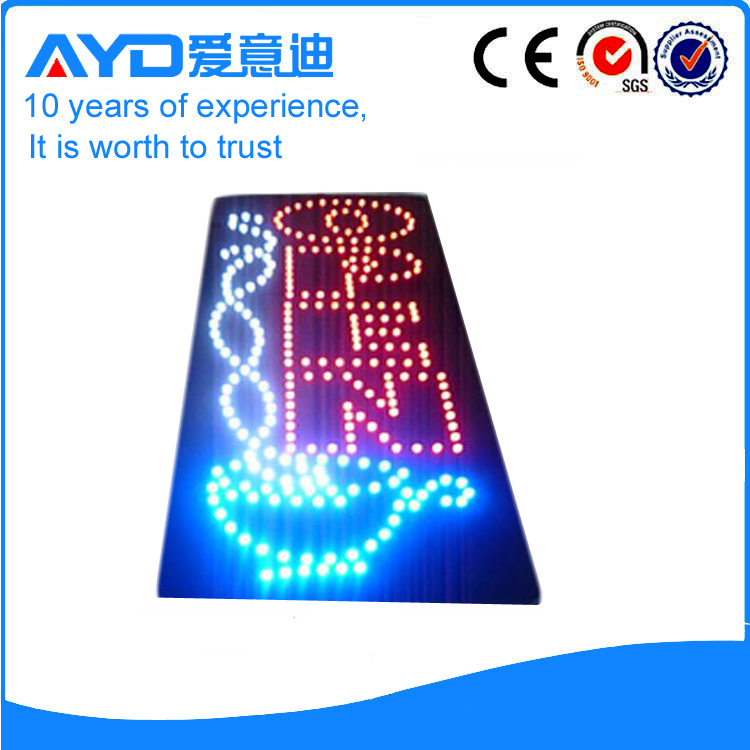 How do you ship the HOT SALE LED OPEN SIGNS and how long does it take? We usually ship by DHL, UPS, FEDEX,TNT. It usually takes 4-5days to arrive. By air,bysea are also acceptable.